Too often people neglect the skin on their bodies. 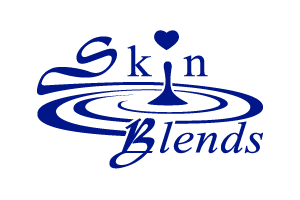 After using Body Blends, you'll notice a big difference in the way your skin looks and feels. Keep Self Massaging Exfoliating Gloves in the shower and use with Body Shampoo. You'll love what these gloves do for your skin, and since you can launder and reuse the gloves like a wash cloth, you'll love what they do for your budget. Exfoliation, hydration, and stimulation are keys to healthy skin, and Body Blends makes these easy to do. If your skin is dry, apply Body Lipids after showering, while your skin is still wet. Then massage your skin with Body Moist. For added benefits, let us or your Licensed Skin Care Professional add some essential oils, aromas, and/or color.